On December 2nd Hopewell Residential officially became a partner of Attainable Homes, a not-for-profit corporation owned by the City of Calgary which provides homeownership to qualified Calgarians who provide a down payment of only $2,000. Hopewell has dedicated 24 homes in Sandgate in Mahogany and Copperfield Chalet No. 6 multi-family developments as stylish and well-located options for Attainable Home purchasers. 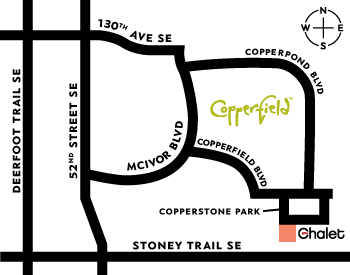 Hopewell has committed 14 Copperfield Chalet townhomes and 10 Sandgate apartment condos to Attainable Homes. Both developments are currently under construction, with Sandgate slated for early 2017 completion in Mahogany, Calgary’s favourite new lake community. Copperfield Chalet’s homes are anticipated to be complete by fall of 2016, and are moments from retail amenities, greenspace and schools. Hopewell is excited to be a part of this extremely important initiative put forth by the City of Calgary. “As one of Alberta’s leading home builders and land developers, recognized on a national scale for our outstanding developments, we welcome this program into our communities, and our homes, as a testament to the vitality and diversity of our offering," said Jeff Rust, Vice-President of multi-family at Hopewell Residential. “Hopewell builds beautiful communities; they build beautiful homes,” said Mayor Naheed Nenshi at the partnership announcement event this week. To learn more about the Attainable Homes program please visit www.attainyourhome.com.